Deaf? Ask for proof you can hear! For fifteen years we have been urging every deaf person to try the Acousticon for ten days, absolutely free of cost or obligation--this is because we are confident that our constant and expert effort has succeeded in keeping it more efficient than any other device. 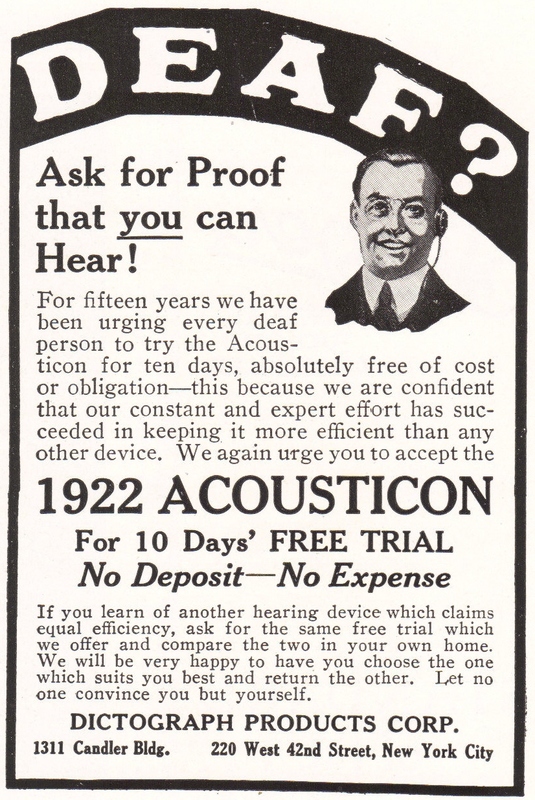 We again urge you to accept the 1922 Acousticon for 10 days' free trial. No deposit, no expense. If you learn of another hearing device which claims equal efficiency, ask for the same free trial which we offer and compare the two in your own home. We will be very happy to have you choose the one which suits you best and return the other. Let no one convince you but yourself. 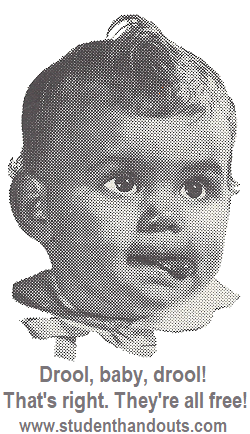 Dictograph Products Corp., 1311 Candler Building, 220 West 42nd Street, New York City, New York 10036. [Note: The Candler Building is a skyscraper built in NYC's Times Square in 1912 by the then head of Coca-Cola, Asa Griggs Candler. It became listed on the National Register of Historical Places in 1982.] Click here to enlarge.